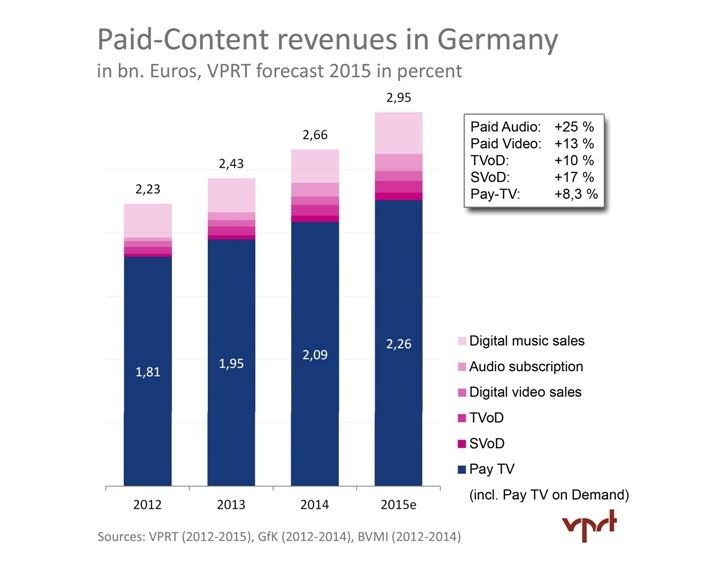 Entertainment industry in Germany is approaching the €10 billion mark this year, fueled by Pay-TV and VOD revenues, as per the newly published VPRT report. 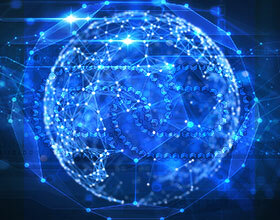 VPRT is the leading commercial broadcaster’s association in Germany. This remarkable growth rate is accredited mostly to Pay-TV and VOD services. While the overall market has grown by 5.5% to amount €10.2 billion, VOD market has grown by 8.5% to be valued at €2.4 billion. In the VOD segment, Subscription based Video On Demand (SVoD) revenue is projected to grow by a staggering 17%. The more conventional Transactional Video On Demand (TVOD) revenues will go up by a very healthy 10%.